And it works on adults, too. Has your child ever wandered away without you noticing? It’s easy to do - you’re busy checking Instagram, liking avocado on toast pics, then all of a sudden you look up from your phone and the kid has disappeared. We’ve all been there. Now there’s a range of new devices to make this common occurrence less stressful. There have been a few GPS smartwatches for children released this year, and we’ve spent some time with the Gator Watch from Techsixtyfour to see if they’re any good. 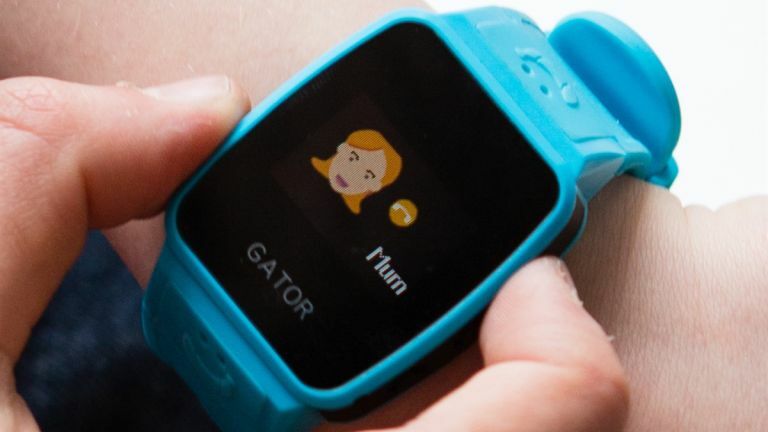 The Gator Watch is a smartwatch designed for children. It features GPS and a SIM card allowing parents to keep in touch with their little ones. Crucially, though, functions on the watch are limited to calling two different phone numbers - so you don’t have to feel guilty about giving your child a massive mind-numbing digital distraction (smartphone). Of course, the LCD screen also displays the time, and there’s a built-in step counter. The Gator Watch is paired with a smartphone app on the parent’s phone, this allows you to set which two numbers the watch can call (by holding the volume keys). The watch can only receive calls from 13 safe-listed numbers, which is smart, and the mobile phone SIM card roams between EE, O2, and Vodafone for the best signal coverage possible. It also allows you to see the watch’s GPS location, and set a safe zone (as well as providing notifications if your offspring ventures outside said zone). Now, I don’t have a child, so instead I wore it for a week and got my partner to track me. It worked fine. The GPS was accurate and gave a little trail of everywhere I’d gone that during the day. It’s not the most polished app we’ve seen, but it does the job. The watch is also chunky, especially for a kids wearable, but it’s feels reassuringly durable. It’s water resistant too, so rain isn’t a problem, but you should probably take it off before swimming. The battery needs recharging approximately every three to four days. That’s not amazing, but it’s also not terrible. It would have been nice if the watch lasted a full school week, and just need recharging on the weekend. Charging the Gator Watch will have to become part of your routine, because you don't want this thing to run out of juice when you need it most. It's so you can keep track of, and in touch with, your child without buying them a smartphone which will ruin their precious innocence. A watch is also a lot harder to loose or break than a smartphone. We think there's definitely a market here, and this type of device makes sense. The Gator watch is available in pink, blue and black and is available to buy from Amazon, or Bentalls in Kingston, if you're in the area. The watch retails for £99. On top of that you'll need a SIM contract, with monthly plans starting from £9 per month, which includes 60 voice minutes, unlimited data and roaming in most countries in the EU.